Devyn and his mum Sarah came to see me a few months ago for for Devyn’s Baby Photography at my studio in Accrington. 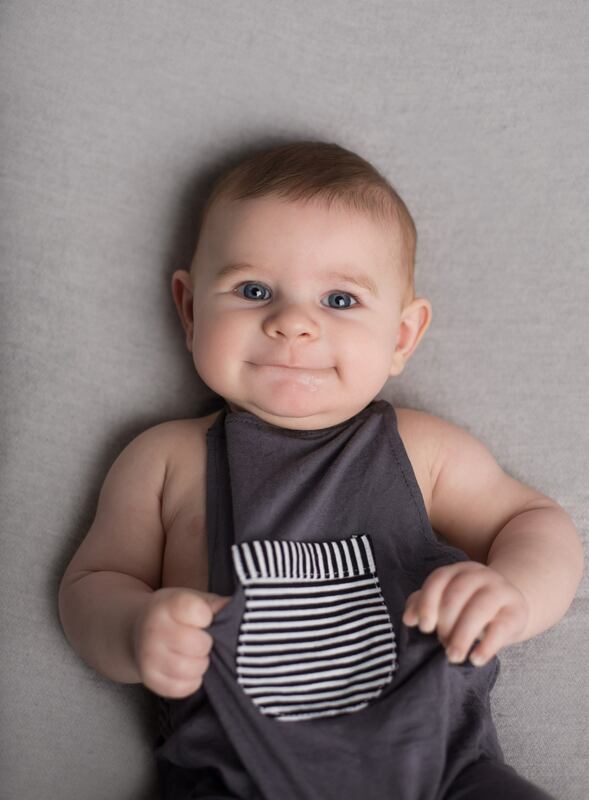 As soon as Devyn came into my studio he was such a settled and happy baby, smiling constantly even without us putting on our silly baby voices! I absolutely love sitter sessions, these are usually done around 5-9 months, although every baby is completely different. 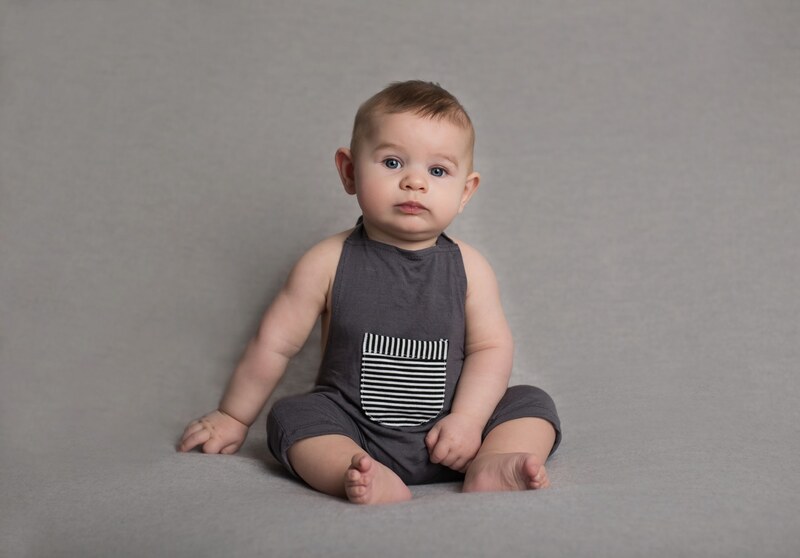 The sessions are best when baby is able to sit up unaided but not yet crawling, which means when they are sat on the bean bag they are usually quite settled and still rather than trying to crawl away! Devyn was just sitting on his own so needed some support from mum, Sarah was holding him from behind and then we photoshopped her arm out afterwards- the benefits of technology! 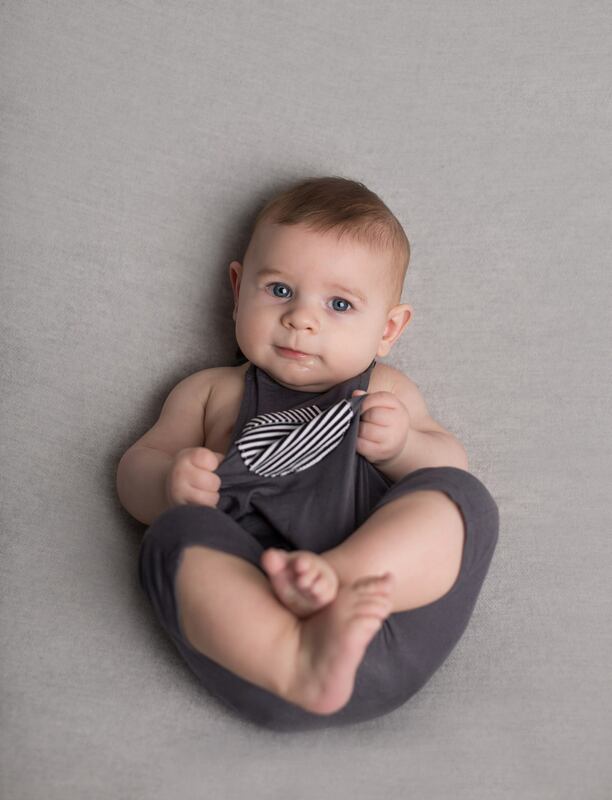 I had bought a gorgeous little grey romper and grey backdrop for Devyn’s session and couldn’t wait to try them out, the romper fit him perfectly and gave him something to play with when we was bored of putting his foot in his mouth! Baby Photography at this age is so special because it allows me to capture the baby’s personality, with lots of smiles and giggles as baby is fully aware of the camera and able to see me by this point, it’s amazing how much they change from newborn age to the age they are in a sitter session. 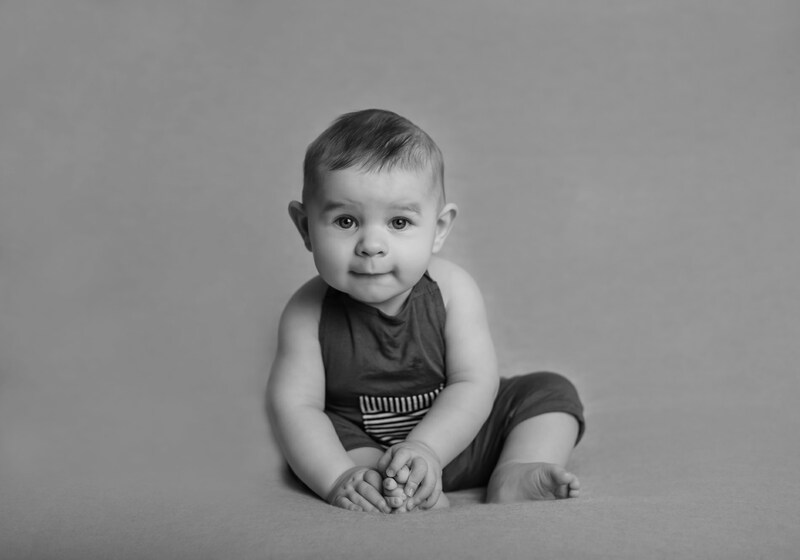 Thank you for checking out Devyn’s gorgeous baby photography in Accrington, for more information on sitter sessions have a look over at the information page here.